VeriSign® Secure Site Pro (SGC) is a professional 128 Bit – 256 Bit SSL Certificate issued by VeriSign®. Includes a $1,250,000 Warranty, VeriSign® Secured Seal, SGC – allowing older browsers to connect at up to 256 Bit encryption. When you need to increase your online sales we highly recommend the use of a VeriSign® SSL Certificate. The VeriSign® Secured Seal ensures your customers see that your website and company have been validated by VeriSign®, instilling consumer confidence and adding value to your online offering. Includes The VeriSign® Trust Seal & Malware Scanning – Free! Like most thieves, malware hackers look for easy targets such as a website where malware will go undetected for as long as possible. 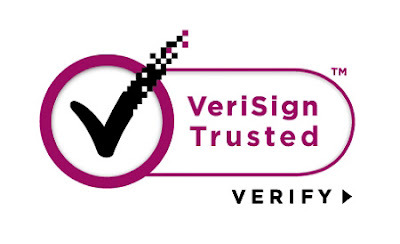 When you purchase a VeriSign® SSL Certificate we include the VeriSign® Trust™ Seal in addition to the standard VeriSign® Secured Seal. includes a daily malware scan to detect malware and alert you with detailed information to respond quickly to any attack. You can activate or disable the VeriSign® Trust™ Seal & malware scanning from within the Tracking area of our website. Your VeriSign® Secure Site Pro Certificate will be issued directly by VeriSign®. VeriSign® SSL Certificates are trusted by 99.9% of web browsers, ensuring your VeriSign® Secure Site Pro SSL Certificate will be free from pop-ups or SSL Certificate errors. Your business or organization will need to be verified by automated and manual processes before VeriSign® Secure Site Pro (SGC) can be issued. You may be required to fax or scan your company information and documents. If further documentation is required your order will be reviewed and processed once the documents are received. Typically this can take up to 48 hours once VeriSign® request additional documentation. VeriSign® Secure Site Pro (SGC) is fully compatible with 99.9% of client platforms and browsers and works with mobile devices. To display the VeriSign® Secured Seal or VeriSign® Trust™ Seal on your web site please follow the instructions on the VeriSign® website by Clicking Here or the instructions within your fulfillment e-mail. For further information please contact us.